Luca Bar is a young Italian designer who caused a stir on many motorcycle websites around the world with his impressive concept designs. We particularly loved his Moto Guzzi S4 redesign and his Moto Guzzi V7 Cafe Sport. 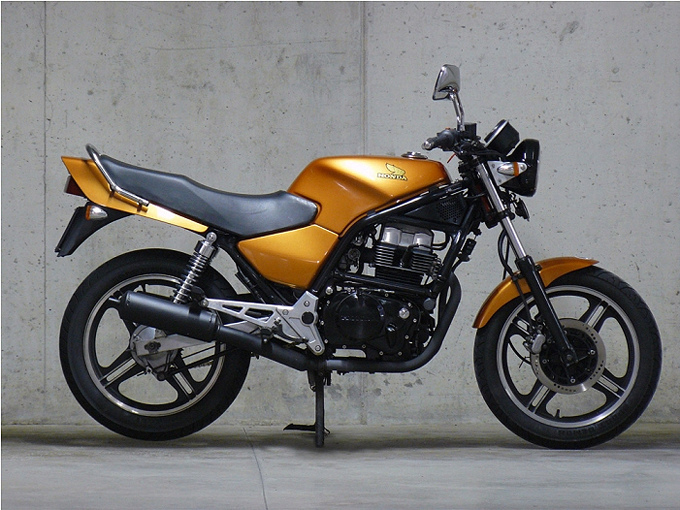 This time, Luca has sent us some pictures of his 1986 Honda CB450S fresh from a total restoration. “The bike has been totally disassembled, cleaned, repainted and updated” Luca tells us. “New springs on the forks, back shocks from a Bonneville Scrambler, shorter final gear to get a bit more push from the small engine and many other details”. The CB450S has a nice story, it belonged to the father of a friend of Luca’s for many years (92000km), but he eventually ran it into the ground.